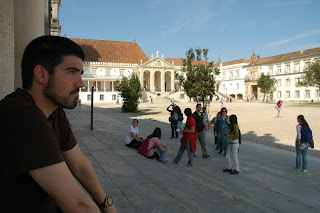 Maria and I went to visit the beautiful city of Coimbra, Portugal. 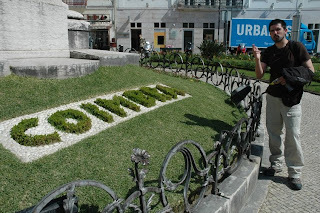 I had already been to this town with my cousins but I only had time to see the Portugal dos Pequeninos model city. 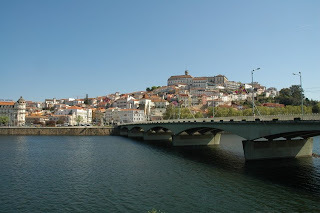 We took the Rodonorte bus from Vila-Real to Coimbra which stops in the centre of the city, near the tourism office and the river. 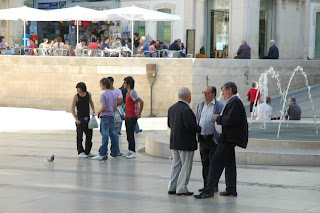 Coimbra is famous for its University and its Library. In the picture above I'm sitting next to this old library called Juanina. 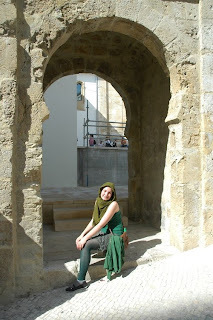 The city has a very nice architecture and sometimes there are Arabic influences in some of the buildings. I love the movie 'Lost in Translation' so sometimes I posed in my pictures saying 'whiskey Suntory' or 'Rat Pack' like Bill Murray :). 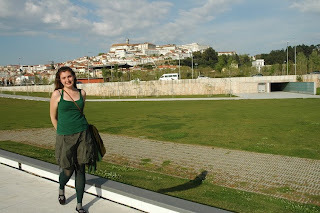 Maria posing with Coimbra in the background very close to the Portugal dos Pequeninos model city, which is in the other side of the city. 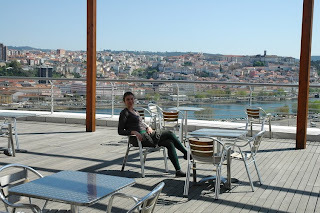 Our hostel in Coimbra (Grande Hostel de Coimbra) was quite nice and centric. Breakfast was included, they had internet and a living room with books and movies to watch. The staff was nice and helpful. 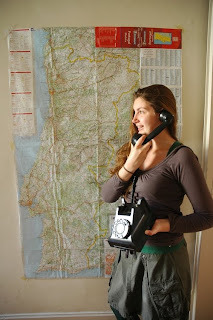 Looking for the keys of her car. 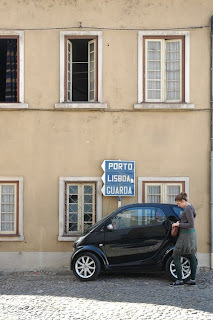 Obviously this picture is fake, she is too tall for that mini car :D.
There are very nice views from Forum Coimbra, a commercial centre in the other side of the river. In the commercial centre there are lots of shops (including FNAC bookshop) and restaurants. 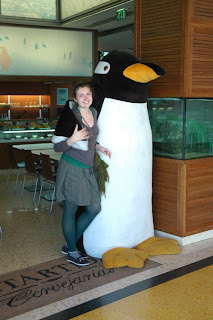 We went to eat in a Japanese restaurant but it wasn't very good. Maybe you noticed that this post has great pics. There are several reasons. 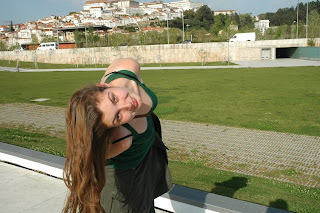 They were taken by Maria, with a nice Nikon camera and with the beautiful light of Coimbra. In the picture above we see that some costumes (talking in the main square with your friends in a circle) are going to be kept by the next generations :). que guapa! 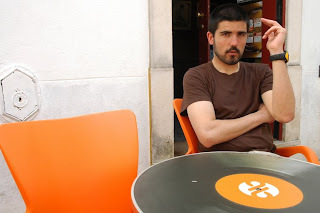 y ¿quien es el barbudo? What a pretty girl!, ¿Who is the barb one?